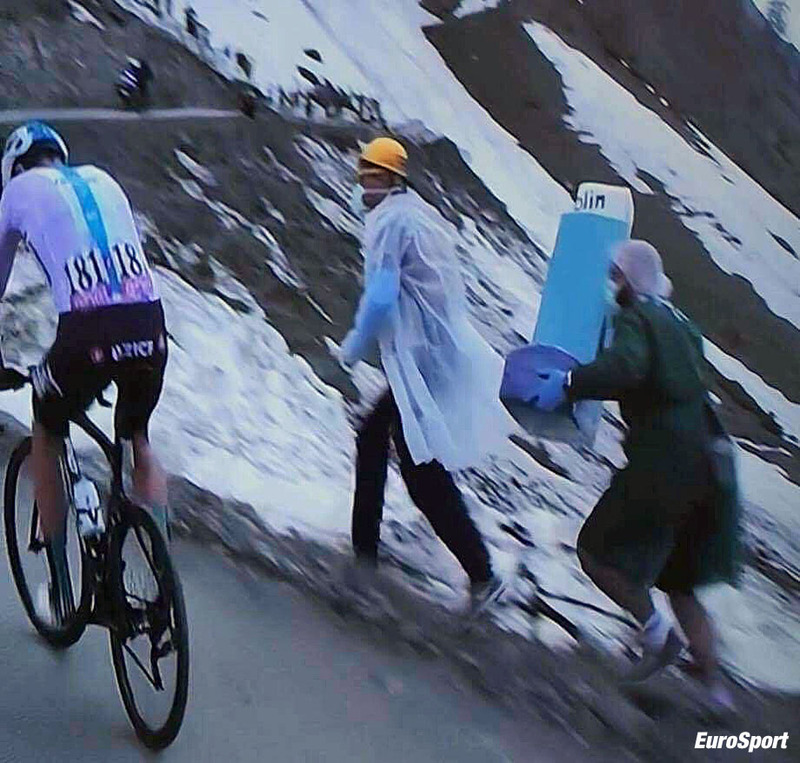 PezCycling News - What's Cool In Road Cycling : Can Science Rescue Chris Froome? Can Science Rescue Chris Froome? The science of anti-doping takes center stage in Dr. Bill Apollo's analysis of Chris Froome's adverse finding for an asthma medication. 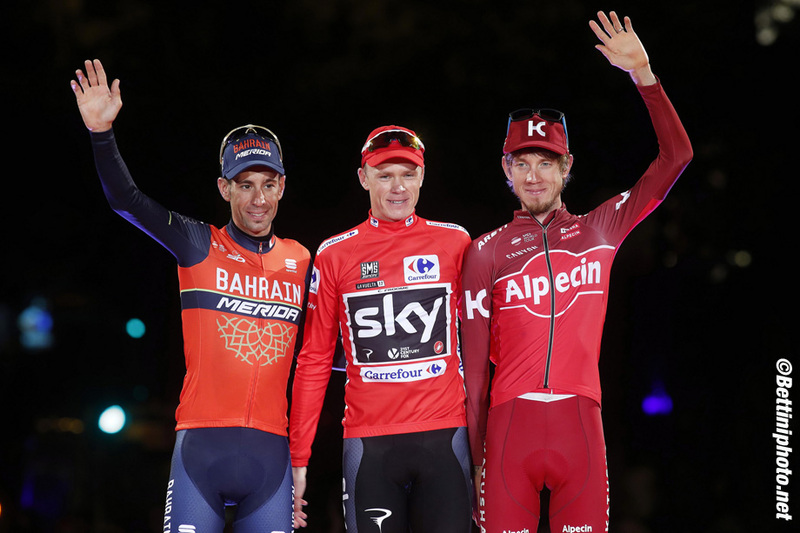 Dr. Apollo, a cardiologist and avid cyclist, thoroughly dissects the science behind Salbutamol, its therapeutic use, Froome's drug test, and his possible defense strategy. Many important considerations are raised in this article, not just about the drug and its legitimate use for athletes who are approved to use it in competition via a therapeutic use exemption. Froome may have an uphill battle ahead, and the whole issue of TUEs could be up for further debate as a result. 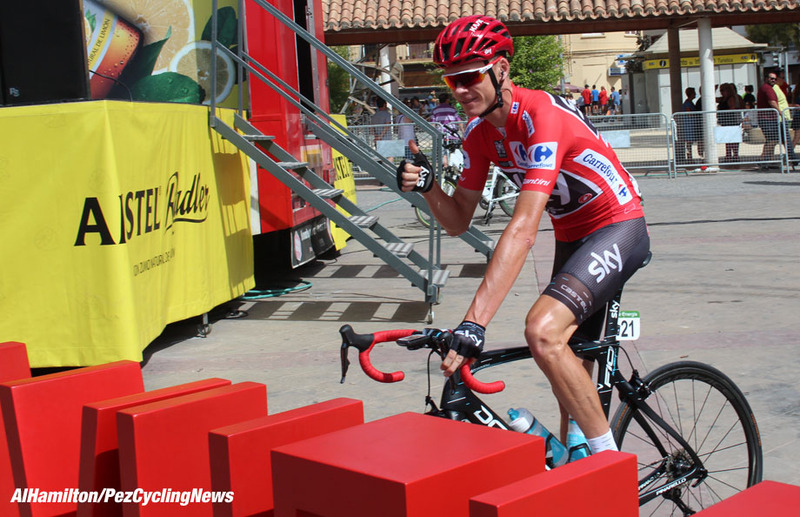 Pro cycling’s scandalous side resurfaced when Chris Froome returned an Adverse Analytical Finding (AAF) for salbutamol during Stage 18 of the 2017 Vuelta a España. Froome, the consummate gentleman and affable champion, reminded us that he uses salbutamol for management of asthma, according to UCI rules and permissible limits. He reported worsening asthma symptoms during La Vuelta, and under doctor’s supervision, increased his salbutamol dose with the “greatest care” to ensure that he did not exceed the UCI’s permissible dose. Team Sky supported their GC contender’s claims, vaguely citing variations in metabolism and excretion of the drug to be possible explanations, and suggesting that interactions with food, medications or dehydration could also have impacted the test results. 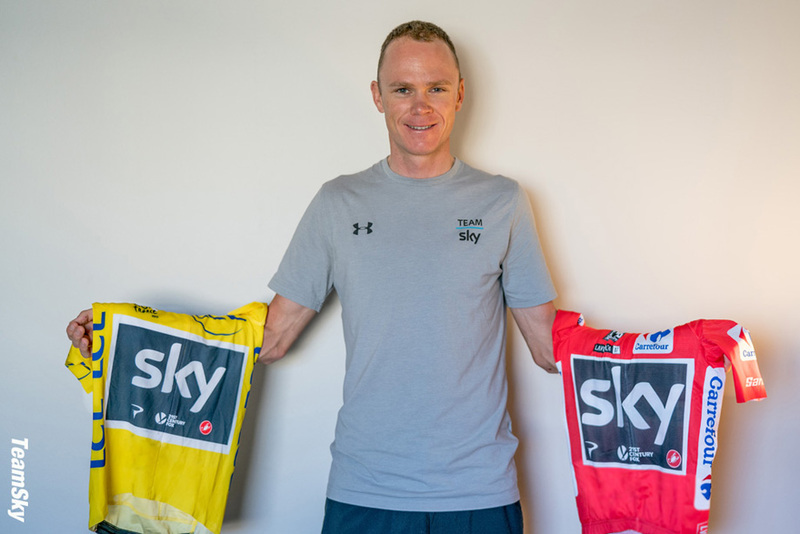 Many of cycling’s skeptics immediately convicted Froome and his Sky team without fair trial or consideration of the evidence. Although frustrated as a cycling fan, as a clinician I am interested what the objective data says about Froome’s guilt or innocence. For instance, what does the science say about potential variations in salbutamol metabolism and excretion? Could such data support or refute Froome’s claims? And, of course, the 800-pound gorilla in the corner: was he using salbutamol for an approved therapeutic purpose, or was he using it for performance enhancement (i.e. doping)? Let’s look at the facts. • Salbutamol is a “rescue inhaler” that relaxes bronchiole smooth muscle in the lungs, thereby relieving symptoms of shortness of breath and wheezing. Importantly, there is generally no significant response to beta-2 agonists when used in normal individuals without asthma. • Salbutamol can be administered in a variety of forms. Metered-dose inhalers (MDI), or “puffers” are most commonly used for treatment of asthma. Beyond their effectiveness for treating asthma, MDIs are generally felt to have no significant effect on performance enhancement. • Conversely, when salbutamol is taken as a tablet or injection, it can produce effects similar to the banned substance, clenbuterol (specifically, improved lean muscle mass/weight ratio). In order to realize these effects, the drug must be used on a long-term basis. The same performance enhancing benefits are not seen with intermittent use of an MDI for management of asthma. 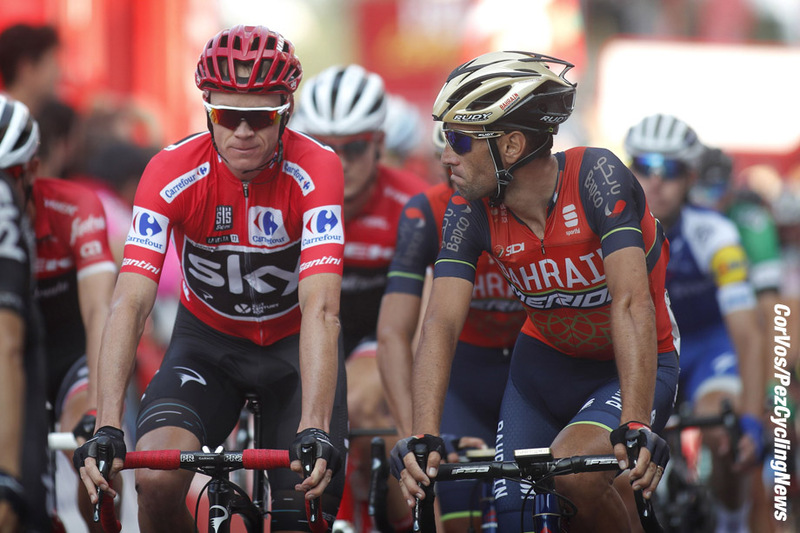 Will Nibali and Zakarin be moving up a Vuelta podium step? In order to recognize what is abnormal, we must first review the expected normal pharmacokinetics based on accepted UCI dosing guidelines. Each MDI actuation or “puff” of an inhaler delivers about 100 mcg of the drug. UCI guidelines stipulate that the therapeutic threshold (approved treatment dosage) of salbutamol is 800 mcg (8 MDI puffs) every 12 hours, with the maximum daily dose being 1,600 mcg (16 MDI puffs/ 24 hours). A urine concentration threshold, based on normal pharmacokinetics, has been set at 1,000 ng/ml in an attempt to differentiate approved therapeutic use from abuse as a potential performance enhancing agent. A urine concentration above this level is considered an AAF unless the athlete can prove, through a lab controlled pharmacokinetic study, that the increased urine concentration occurred following use of an accepted dose. What alternate factors could adversely affect Froome’s urine results, if he was indeed compliant with the recommended dosing guidelines outlined above? Team Sky suggested potential interactions of the MDI with food or other medications. Any such interactions would be clinically neglible, except for any accompanying and parallel use of antidepressants called monoamine oxidase inhibitors (MAOIs) which could increase measured salbutamol levels. This is a non-issue, however, since MAOIs are classified as stimulants and their use is prohibited in competition. But what about the claims that dehydration may have played a role? In 2016, C.B. Haase, et al. published a WADA-supported study in the journal Drug Testing and Analysis evaluating the effects of exercise and dehydration on urine concentrations of salbutamol, specifically as they relate to doping analysis. All of the athletes tested received the UCI allowed maximum daily limit of salbutamol 1,600 mcg (as a single dose – as opposed to the recommended divided dose schedule described above). Salbutamol urine concentrations were measured under three conditions: exercise; exercise plus dehydration; and rest. 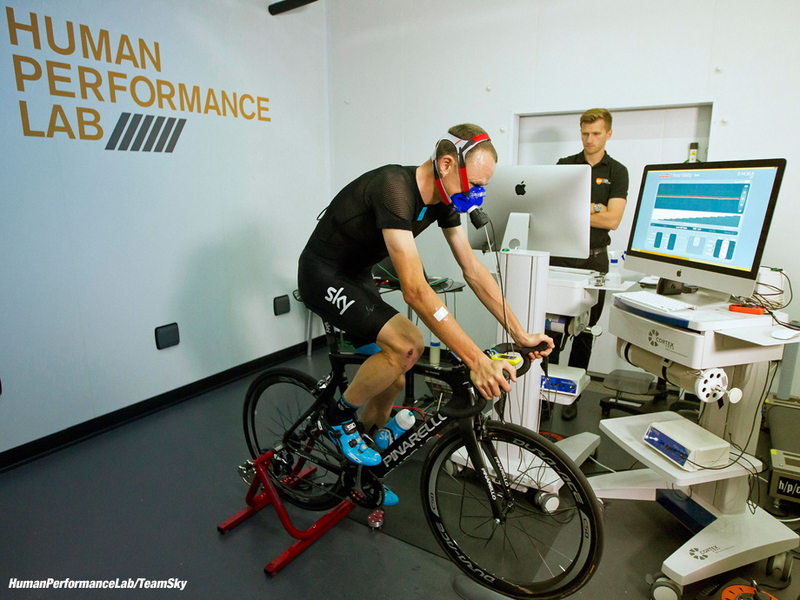 The exercise program included 75 minutes of cycling at 60% VO2 max, followed by a 20 km time trial (quite modest compared to the rigors of a Grand Tour Stage). The participants’ fluid intake was strictly controlled to simulate varying levels of hydration in the lab. Under the “exercise” part of the experiment, the athlete was allowed 2,300 cc of fluid intake; under the “exercise plus dehydration” situation, they were allowed just 270 cc; and under the “rest” scenario, 1,100 cc. The urine samples were measured before and after being adjusted to a normal urine specific gravity (USG) of 1.020. Why is this important? USG is a direct reflection of hydration status and increases as the urine becomes more concentrated during exercise. With vigorous exercise, a significant amount of fluid is lost because of sweating. In an attempt to avoid dehydration, the kidneys compensate by retaining fluid, thus concentrating the urine. As the urine becomes more concentrated, the concentration of salbutamol in a urine sample would be expected to increase (because the same amount of drug would be excreted by the kidneys in less fluid volume). • Many of the urine specimens exceeded the UCI limit of 1,000 ng/ml, even in resting athletes who were adequately hydrated, because the entire daily dose was taken all at once. • Exercise plus Dehydration had prominent effects on urine salbutamol concentrations with levels reaching as high as 1,300 ng/ml when the samples were not corrected to a normal USG. • Even after correction of the samples to a normal USG, some still exceeded 1,000 ng/ml, but the risk of an AAF was reduced. Based on the results of this study, it is clear that improper use of salbutamol (either in dosing or frequency of administration) is likely to result in an AAF during a doping control. Importantly, the researchers also proved that exercise and dehydration can increase the likelihood an AAF. Conversely, the authors note that athletes are not at risk of a false positive doping control if salbutamol is used within the current anti-doping guidelines, paying attention to both the maximum allowed dose and the way it is administered. After review of the pharmacology and objective clinical data described above, I think the most reasonable explanation for Chris Froome’s AAF is inhalation of a supra-therapeutic dose of salbutamol – beyond the accepted UCI guidelines – occurring on the day of the abnormal doping control. Because of worsening symptoms, he was likely using his MDI routinely during the days preceding his AAF, and presumably would have established a modest steady state level in his body. Although exact numbers from doping controls prior to Stage 18 are not available, his urine concentrations must have at least been below 1,000 ng/ml, since no other AAFs were reported. Therefore, if he continued to use the MDI in a consistent manner and within acceptable dosing guidelines, he should have been fine. His level was twice the acceptable threshold, suggesting multiple additional doses were taken. "A controlled pharmacokinetic study would be very risky"
Although factors such as exertion and dehydration are proven to affect urine concentrations of salbutamol, published data do not adequately explain the magnitude of Froome’s AAF (2,000 ng/ml). This would indicate, that although Froome is entitled to additional testing, a controlled pharmacokinetic study would be very risky, and likely not result in a favorable outcome. I think it would be impossible to recreate the constellation of events leading to his AAF artificially in a lab. 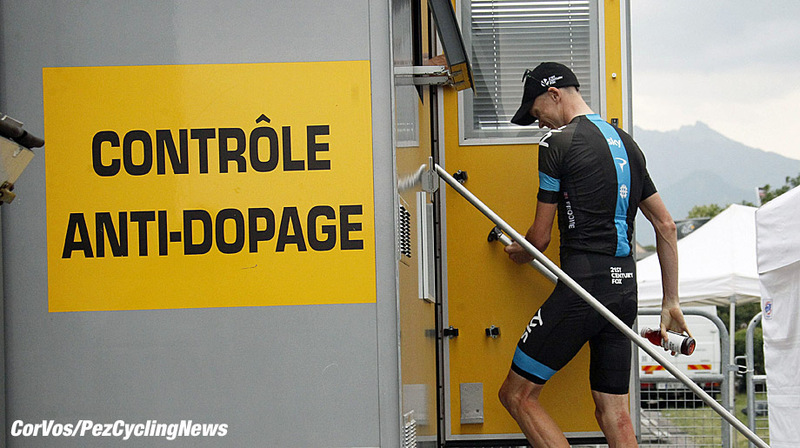 Was Froome using the drug for performance enhancement? He describes a long history of asthma and thus has a clear clinical indication for using salbutamol. His elevated salbutamol level was an isolated event, with multiple other doping controls within acceptable limits. This would speak against chronic salbutamol use in an attempt to achieve performance enhancing effects. Despite this, the sheer magnitude of his AAF was still impressive and the UCI seems compelled to address it in some fashion. I have always been suspicious that this drug could be innocently prescribed for asthma, while providing a smokescreen for more covert use. Could this case represent a well refined, marginal gains program derailed by unanticipated circumstances? Experience has taught us to at least ask the question. Froome has requested fairness and consistent treatment analogous to other riders faced with similar issues. The UCI’s previous track record should be troubling to him. Allesandro Pettachi returned a much lower salbutamol urine concentration of 1,320 ng/ml in the 2007 Giro d’ Italia. His levels were at least arguable based on the conclusions of Haase, et al. Unfortunately for him however, the results of that study were published nearly 10 years after his case was decided. Like Froome, he argued that his AAF was related to increased MDI use because of worsening asthma during the race. He ultimately served a 12 month suspension and was stripped of 5 stage victories. Diego Ulissi returned an AAF in the 2014 Giro d’Italia similar to Froome’s. His urine salbutamol concentration was 1,920 ng/ml. Not surprisingly, he failed to reproduce a similar result in a lab controlled pharmacokinetic study and ultimately received a nine-month suspension. Definitely not encouraging news for Froome. Regardless of motive or intention, Froome faces a Hors Categorie legal battle and his defense strategy will be very difficult based on scientific data and the outcomes of previous similar cases involving salbutamol. I don’t believe he will be able to explain away his AAF based on food or drug-drug interactions, nor do I believe a controlled pharmacokinetic study will vindicate him. It seems unlikely that science will be able to save Chris Froome. Dr. Bill Apollo is a Harrisburg, PA-based cardiologist, and is a member of The Outer Line/VeloNews Board of Contributors. He is an amateur bike racer and was previously the state time trialing champion of Pennsylvania. In this article, he examines the Chris Froome controversy from a medical perspective, and concludes that it is unlikely to end well for Froome. Disclaimer: As with all postings on theouterline.com, our goal is simply to provide ideas and spur debate about what constitutes real change in professional cycling. If you have an opinion about how to repair and strengthen professional cycling, please contact us, and make your ideas or opinions heard. Joe Harris and Steve Maxwell, The Outer Line. Steve Maxwell and Joe Harris are co-editors of theouterline.com – providing an external perspective on the economics, structure and governance of pro cycling. Thanks to The Outer Line for permission to share this story with PEZ Fans – Ed.